Residents and businesses have known all along what makes Plattsburg special: it's more than just the casual stroll through the historic "roots" of the town or the quaint shops along Main Street. It's the people who make this town unique, warm and inviting, welcoming you into their businesses and homes, as well as their hearts. Working hand in hand with the people of this City is what has made all of our community events and activities possible. Without the help and cooperation of so many individuals and volunteers, the Chamber could not achieve any of its goals. As an organization, we have truly been blessed to work with some of Plattsburg's most outstanding leaders and true innovators. This City is fortunate to have a such a wide "pool" of talented people living within its boundaries, along with so many diverse interests and areas of expertise. One look at the Fall Festival, the 4th of July Celebration, Plattsburg's Community Christmas or the Homes or Church Tours, to name just a few, and you'll see evidence of each committee's passion, dedication, hard work and skills. Working together, we can continue to make Plattsburg a happy, strong, thriving, environment! This Chamber is organized for the purpose of advancing the economic, industrial, professional, cultural, and civic welfare of Plattsburg, Missouri; to encourage growth of existing industries and businesses while giving all proper assistance to any firms or individuals seeking to locate in Plattsburg; & to support all these activities believed to be beneficial to the community and area. A monthly reminder will be sent to you via e-mail asking if you will be attending the lunch or breakfast meeting, which also allows the host to know how much food to prepare. If you answered "yes" to attending the meeting but fail to appear, you will still be required to pay the $10 lunch or breakfast fee unless you can find someone to attend in your place..
Board members meet the last Tuesday of each month in City Hall at 7:30 a.m. Monthly meetings are held each month in order to socialize and network with other businesses and volunteers within the community. A full meal is served, and a "program" follows a brief business meeting. The number of people in attendance varies each month, but consistently averages 25-35 business people and community volunteers. Monthly meetings generally last one hour. Jan Breakfast meeting at 8:00 a.m.
April Breakfast meeting at 8:00 a.m.
July Breakfast meeting at 8:00 a.m.
Oct Breakfast meeting at 8:00 a.m. 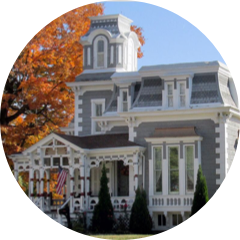 The Plattsburg Chamber strives to partner with community individuals, organizations, businesses and volunteers in order to create a thriving, growing, and enjoyable environment for the town and those who live in it. In order to recognize the hard work of community volunteers, teachers and other individuals within various organizations, the Chamber holds an annual Recognition and Awards Banquet each spring. Without these volunteers, none of the following events would be possible. Watermelon, ice-cream, and water are just a few of the 4th of July refreshments Chamber volunteers have provided and handed out for free to the community before the big fireworks display. The Fall Festival, one of Plattsburg's biggest events, was originally under the Chamber umbrella but over the years it has grown to be its own committee and organization. At present, Chamber members still help volunteer for, advertise and promote many of the events, including sponsorship of the Silent Auction, and selecting Plattsburg's "Person of the Year." For the convenience of our visitors and townspeople during the city-wide garage sales event, the Chamber organizes and provides a free list and location map of all the sales, which is displayed on the web and distributed throughout the town at various locations. When it comes to Christmas, the Chamber is fortunate to have many big lovers of the Christmas season in its midst. Back in 2007, the Chamber brought back one of its old traditions by having Santa come to town so children could have their picture taken with him. The pictures and other activities provided were completely free. Through the efforts of the Chamber, the event has continued to grow each year and now includes a full day of festivities, along with a home and business decorating contest. The Chamber's volunteers work tirelessly throughout the year doing many tasks and these examples are just a few of the ways the Chamber is at work for the community. Without our members and volunteers, none of these things would be possible. Not only does the Chamber give of its time, but when possible it donates money to other organizations to show their community support. The Summer Reading Program, Plattsburg's High School Prom committee, and the Civil War Battle of Plattsburg were just a few recipients of the Chamber's generosity. Plattsburg's Tour of Churches and Fall Festival are among the many organizations that benefit from the Chamber's effort in advertising; while the Pony Express (in St. Joseph) and the Highway 36 Project are organizations the Chamber supports and belongs to as members. For members, the Chamber works hard to keep the lines of communication open. There are many benefits to being a Chamber member, such as the monthly luncheon meetings (including 4 quarterly breakfasts), and The Chamber Exchange (a monthly newsletter), which features a different business once a month, to name just a few. The business features are included both on the website and in the newsletter. New businesses in town can look forward to the Chamber's Ribbon Cutting ceremony, as well as their picture in The Leader, Plattsburg's local newspaper.